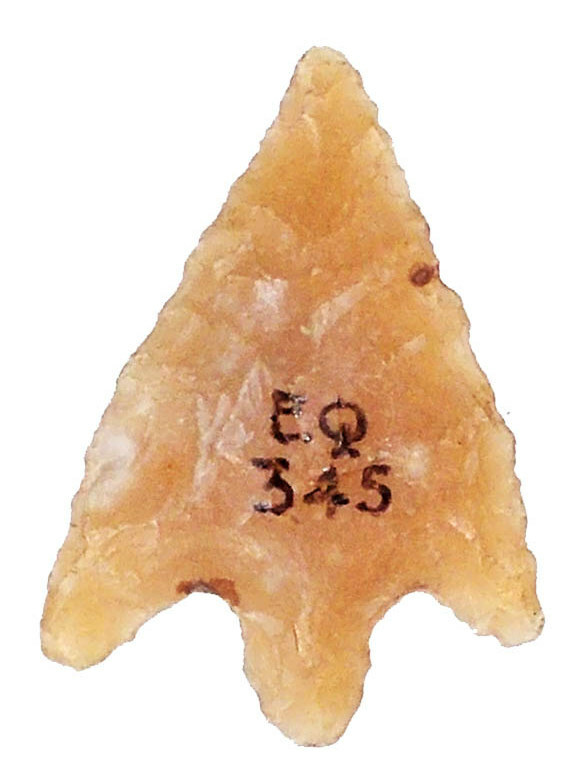 Act Two: A previous excavation by Lord Abercromby (John Abercromby, 5th Baron) in 1906 found a fine tanged-and-barbed arrowhead, which is evidence that the cairn was used during the Copper Age (Early Bronze Age, 2300-2000 BC). Whether this was re-use, or indicative of continued use, isn’t known. The 1950’s excavation also produced fragments of a Beaker, typical of this time period. 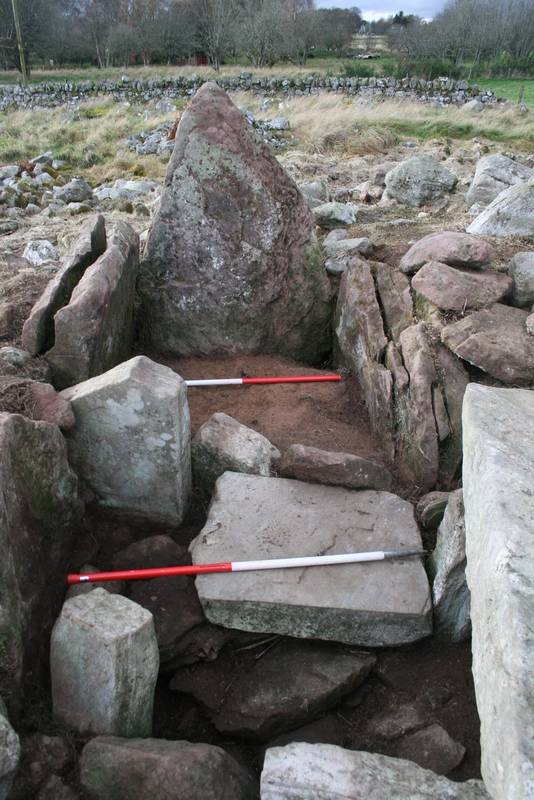 Act Three: By the time of Lord Abercromby’s excavation in 1906, the cairn had been much reduced in size. An engineer visiting it in 1881 recorded it as standing 21 feet high. 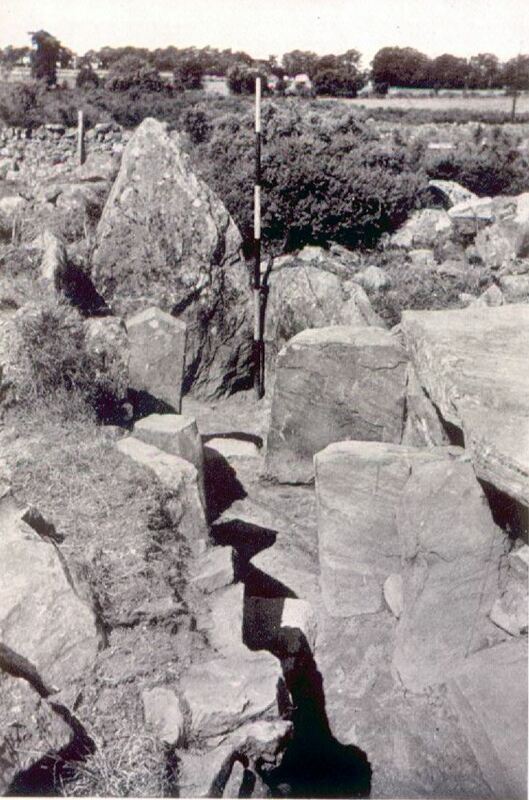 So, between 1881 and 1906 the third, destructive, act of cairn robbing occurred. 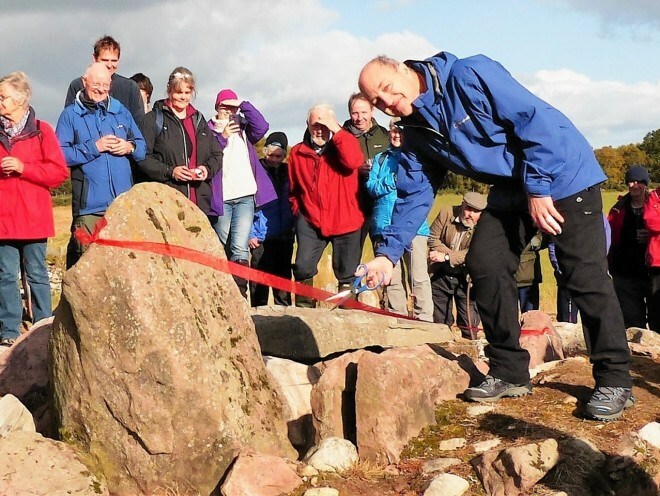 Presumably the cairn stones went to local walls, buildings, etc. Act Four is shady. There is nothing on record of the 1906 excavation. Sadly. Nor in what state Lord Abecromby left the cairn and its tombs. But we know he supervised some digging there! Act Five: Over two seasons, Tony Woodham, a chemical engineer and an amateur archaeologist, excavated the inner chambers. Instead of backfilling as would be the custom now, he left the chambers open to the air. His report in the PSAS can be found here. Act Six: Nature moved in, and by 2008 the cairn and its chambers were heavily overgrown, almost unapproachable. 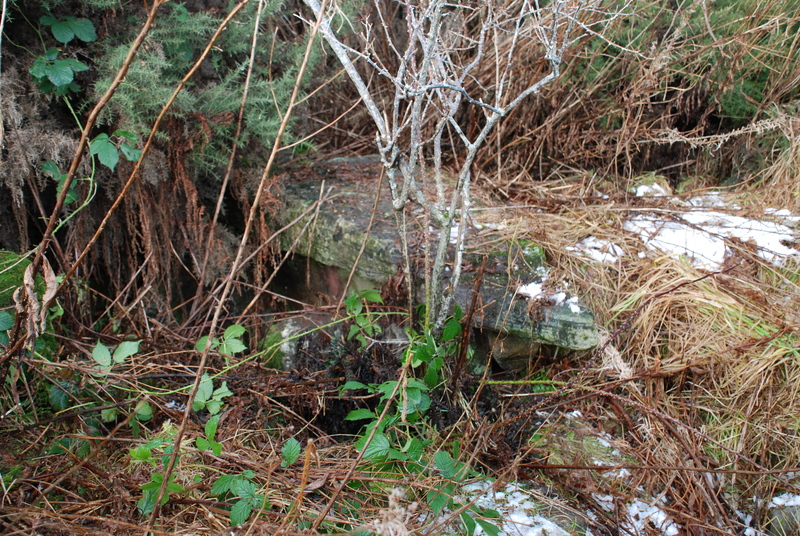 Only the most intrepid could struggle through the undergrowth to see the chambers. The chambers were filling up with vegetation, debris and soil. 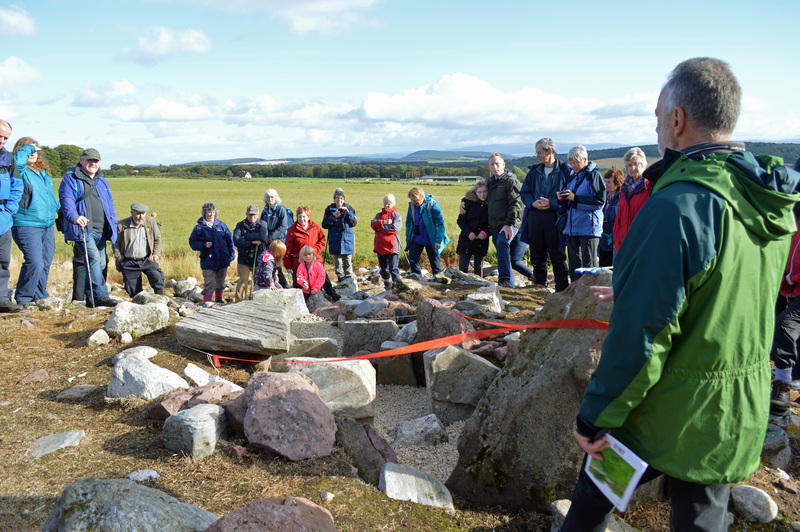 Act Seven: In several stages, between February 2014 and October 2015, the cairn was cleared of vegetation, the chambers emptied of accreted debris and soil, fallen stones restored to their 1956 positions, chips laid on the floor and a signboard erected. The full story of the restoration can be found on the NOSAS website here.